JVC is a well-respected Japanese AV and consumer electronics brand; an industry giant for over 90 years. 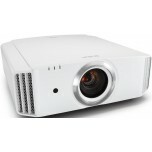 JVC's experience led to their product range expansion with premium projectors, which are some of the best on the market. 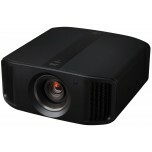 We recommend using a Grandview projection screen. 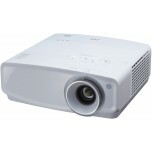 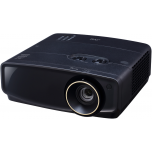 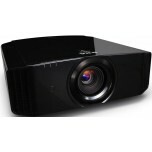 We stock a range of JVC's upscaling projectors, which enable HD resolution media to be up-converted into 4K. JVC's upscaling projectors offer 4 times more resolution than standard HD projectors, and as such are widely regarded as some of the best in the market. 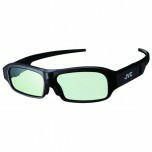 We also offer JVC's 3D active shutter glasses, allowing you to enjoy 3D TV and movies with the addition of a JVC 3D signal emitter. 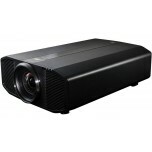 Please call or e-mail us for further advice on projector screens, AV receivers and 5.1 or 7.1 speaker systems where we can advise you on matching units for the ultimate home cinema solution.